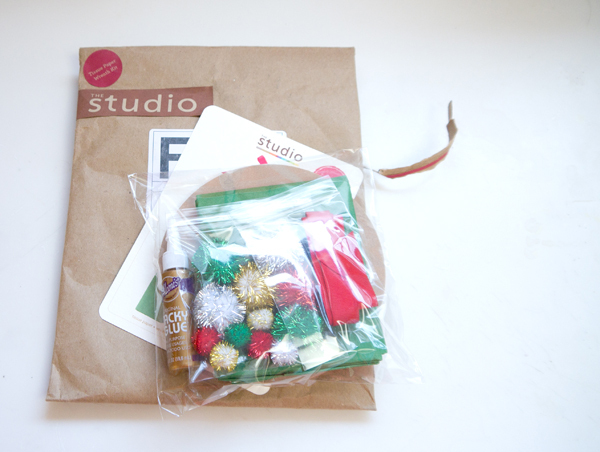 In only a few days the compact package arrived in the mail, containing everything I needed to create an adorable, and child-friendly, holiday wreath with my tot. I gathered the tot and she went to work, seriously. 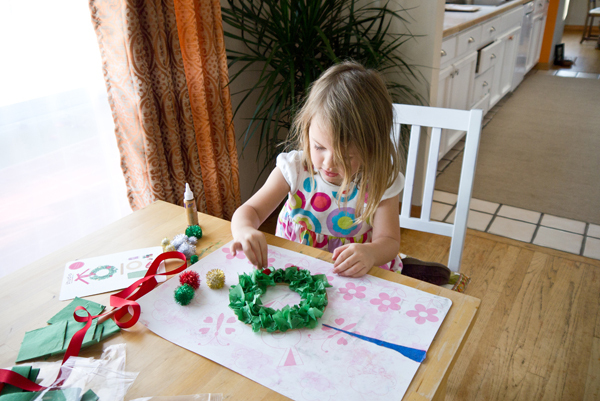 I didn’t even have a moment to discuss with her the steps for creating the adorable mini-holiday wreath. Included in the kit is a simple instruction card that even a toddler can figure out. I helped by cutting the squares of green tissue paper while she dabbed bits of glue and then scrunched and positioned. Once the ring was filled my tot selected only the red glittering puff balls to decorate her finished wreath (her favorite color is red…) and then we gave it a few minutes dry. AND there were tons of materials left over for making more wreaths. 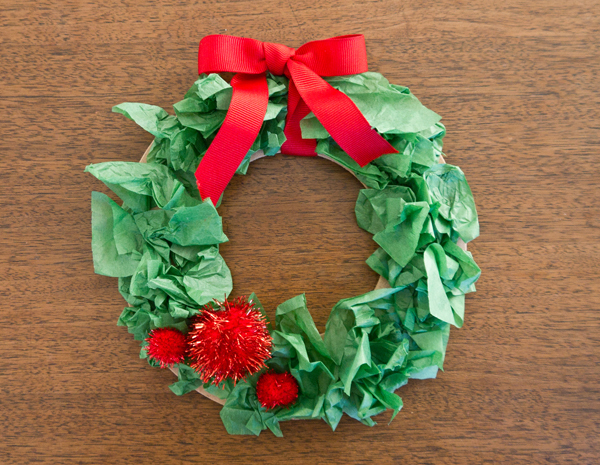 You could repurpose an old cardboard box into the base for another wreath or even cut out the inside of a paper plate for more wreath fun…. I helped by tying a section of the included red ribbon for a festive wreath that we hung on our front door. My daughter gets so excited every time she sees it — and so do I. Along with cute holiday wreaths, Kiwi Crate is offering several other seriously cute and interactive holiday crafts, including ones perfect for Hanukkah. And, just so you know, I wasn’t compensated in any way for writing this post, only sent the craft to experience with my tot. 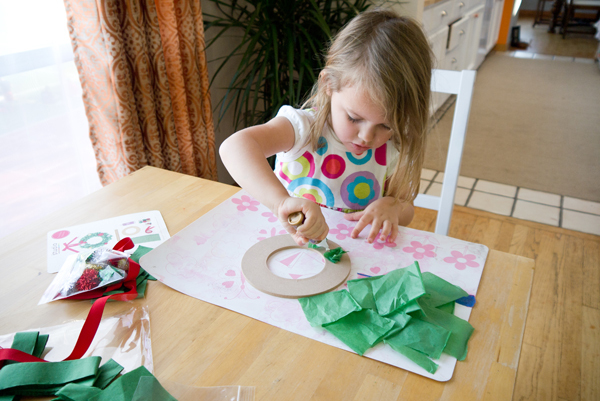 If you’re looking for something fun and festive to create with your child, but don’t have the time to hit the craft store for supplies, Kiwi Crate has everything you need packaged together — and it won’t bust your budget. That looks like so much fun, Sarah, and I love that little ones can figure out all the steps on their own! Score!